The beginning of school always finds me running around frantic trying to get everything done. Trying to blog full time, teach full time and be a wife and mom full time is enough to make me go crazy. The one thing that helps keep my sanity is if I am organized. Organization is the key to keep my classroom as well as my household running smoothly. I am constantly trying new things to help me and sometimes I have to make them. 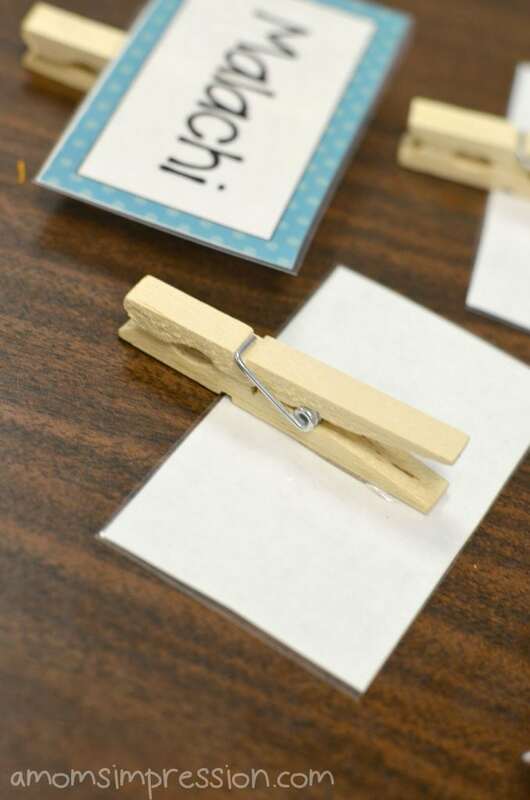 For instance, this week I needed to make student work clips, teacher gifts, and to preserve my son’s sight word list so that we can have it hanging on the fridge. Luckily I could do most of this from home thanks to my printer and my Scotch™ Thermal Laminator. I love having a personal laminator at home. The one at work only works part of the time and is out of film the rest of the time. I like to be able to bring some of my things home to do while the kids are in bed and while I am relaxing by watching a show. Luckily I found a great one while I was shopping at Walmart for Back to School supplies and it has become invaluable. 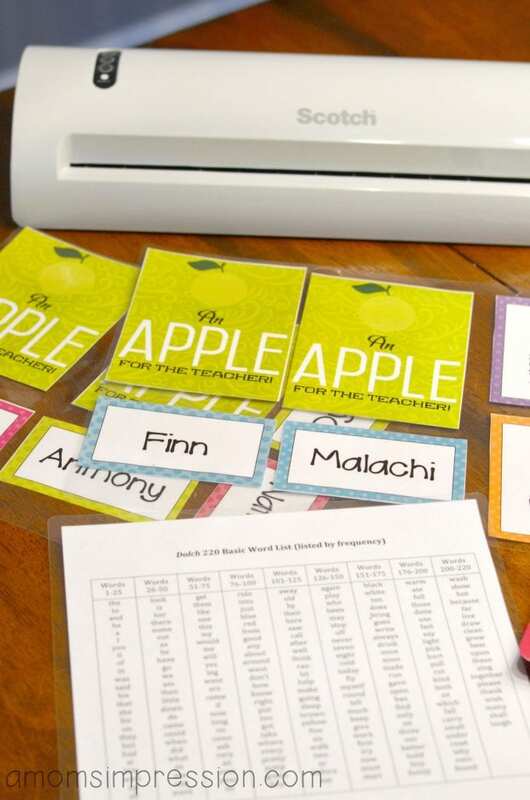 I made these cute cards by downloading this PDF from Skip to My Lou and then laminating the cards. I think they look so much more professional when you do that. 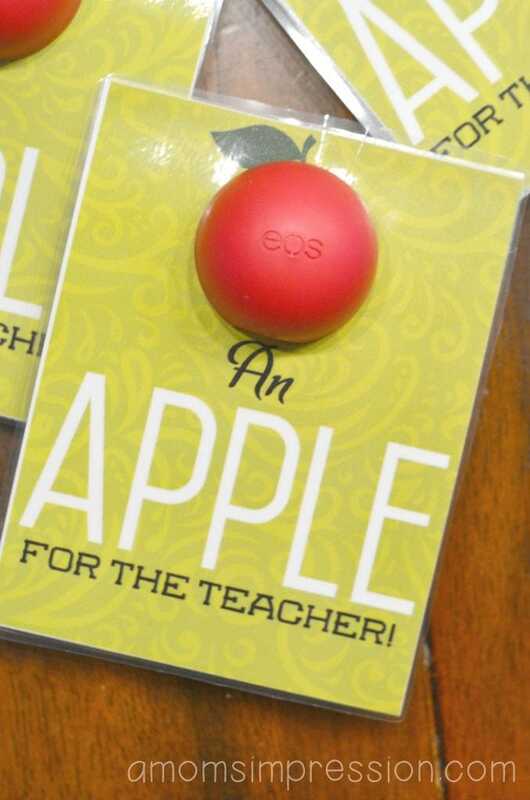 Since I wanted to give these to the teachers on my team, I wanted them to look nice. Every year I make student work clips that I use on my hallway bulletin board. 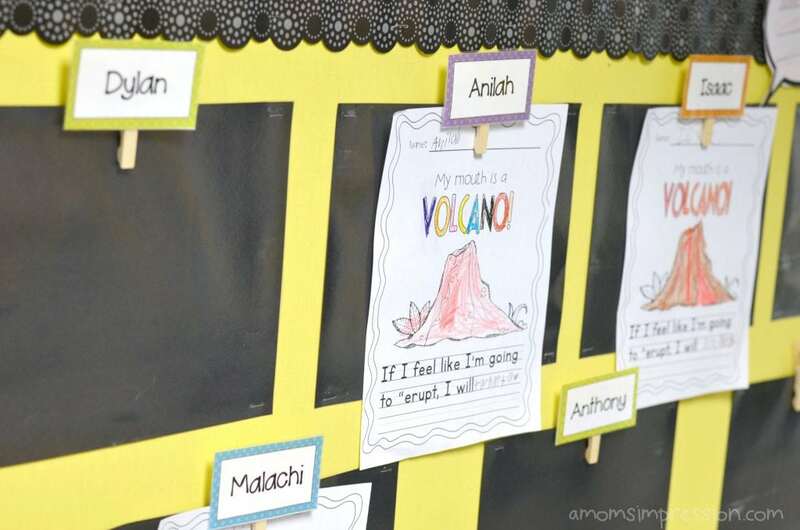 This is a great way to keep your student work organized and looking adorable for anyone to look at when they are visiting our school. I also love them because they are inexpensive and simple to make. You can adapt them for your personal use as well. I would glue a magnet to the back of them and hang your child’s homework on the fridge for easy access. You could even make them for bills, or mail or anything that you can dream up. The possibilities are endless! To make these clips there are 3 easy steps. Use a mailing label template in Word ( I used AVERY 8163) and find a cute border. I then typed each student’s name on them and printed it out on card stock. 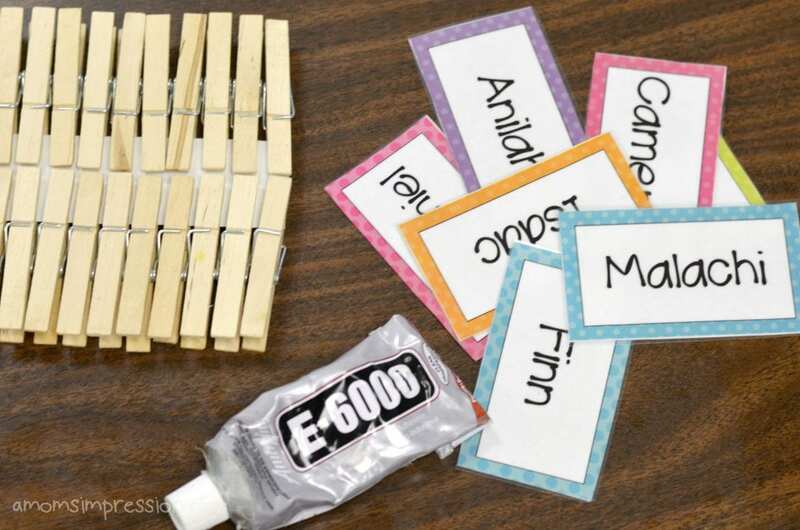 Next using your favorite craft glue (the Elmer’s glue doesn’t work well for this particular project), glue them to a clothesline clip! It is as simple as that. See how great they look in my hallway! You can find Scotch™ Thermal Laminator and laminating products on Amazon! How do you stay organized during Back to School?